What is malware? Malware is short for malicious software. This is software that is designed to execute without the owner’s consent. The program may cause the computer to: lose performance, block internet access, create pop-ups, request payment, or other malicious activities. Some malware will appear to be a legitimate anti-virus and will display messages such as “we have scanned your computer and found 1,456 viruses, click here to purchase our program to remove these threats.” Below are eight ways you can help prevent your computer from becoming infected by malware. Should your computer become infected by malware we suggest you contact your local virus removal specialist. Malware can often be difficult to remove and should not be attempted by the average user. There are many reputable anti-virus programs available for purchase. Your internet provider often will provide a security solution for little or no cost. 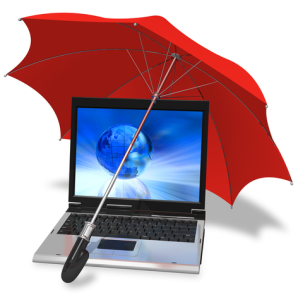 It is also important to only use one anti-virus program, in addition to performance issues, the programs may conflict causing connection and security problems. Be sure to keep your security solution up-to-date, out of date security is useless. It is important to download and install all updates for software you are using. Windows’ updates should be downloaded and installed when available. These updates often patch security holes. Installing updates for other applications such as Adobe, Java, and media players should also be installed. These program updates may also improve the security of these applications. Site advisor programs alert you to the risk level of a website before you enter it. You should also steer clear of high risk websites such as sites containing pirated software downloads and adult only material. These sites can contain malicious code. File sharing sites such as BearShare, Kazaa, WinMx, PirateBay, and others can contain malicious software. The files shared on these sites can be fraudulent. Often you believe you are downloading your favorite song when in reality it is malware or a virus. Installing these programs often opens a tunnel for any type of program to execute on your PC. Periodically scan your computer for malware. There are great free software such as malwarebytes and spybot search and destroy. These programs can detect and remove even minor malware threats. Don’t open e-mail from strangers. You wouldn’t let a stranger in your house so do not let them into your computer. Also beware of unexpected e-mail attachments that you are not expecting. Pirated and cracked software can contain malware and often prohibits the software from obtaining updates. Pirated software could also contain keyloggers, spyware, or other malicious code. Even legitimate websites can contain ads or links that will forward you to higher risk websites. Social networking sites such as MySpace or Facebook may display messages tempting you to click a link, such as click here for a picture of your friend. These links often forward you to a bogus website.